Far from a minor shift in market dynamics, the growth of the ‘Facebook-never’ generation is potentially a harbinger of a truly seismic shift in the PR and marketing landscape — the dawn of the post-social media age. PR professionals were largely caught out by the original rise of the global social media platforms, but they can’t afford to make the same mistake as many of those same platforms wane and perhaps disappear altogether. 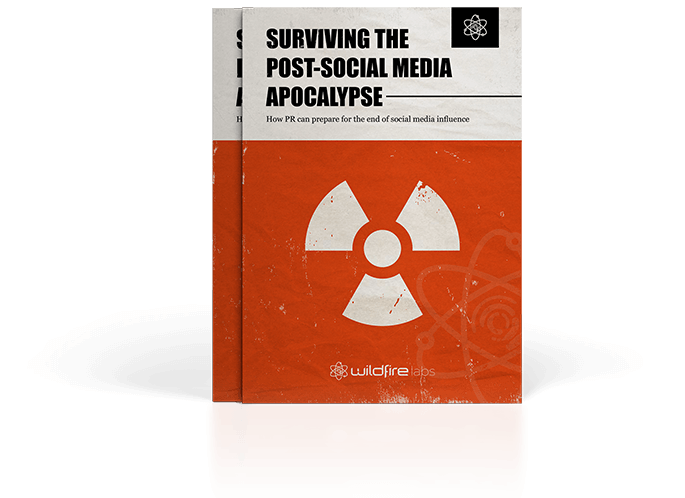 Surviving the Post-Social Media Apocalypse, the new report from Wildfire labs, asks how the PR industry can prepare for this cataclysmic future — offering four steps for PR professionals to follow to capitalise on the opportunities that will arise in the post-social media age.